Flip a coin. If heads the opposing pokemon is burned. 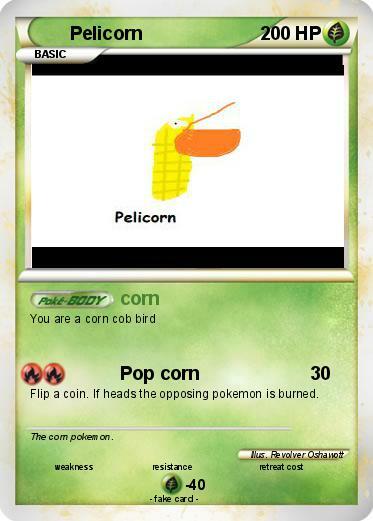 Comments : The corn pokemon.